Resolute, but cautious, judicial and yet sym­pathetic, a man of quiet strength and almost stern gravity, and yet with a very tender spirit beneath apparent severity, a man slow to take the initiative, yet vigilant and constant in the discharge of re­sponsibilities which were laid upon him — such was John Henry Barlow. Early years spent in Scotland, the atmosphere of an evangelical home, his own strong religious faith and the discipline of circum­stance alike predisposed him to high seriousness and to self control almost to the point of self-effacement. His was from early days a dedicated spirit. He was born in 1855, in Edinburgh where his father was Professor of Anatomy and Physiology in the Veterinary College, a notable figure in the intellectual and literary society of that city. He was initiated as a boy into the experience of sorrow, for his father died at the age of 40. Soon after, when John Barlow was but eight years old, his mother moved to Carlisle. Here John lived with his mother and sister, except during the terms he spent at Kendal School. Owing to the failure of the Glasgow Bank, he had to leave school when he was 16, and take up a post in a bank in Carlisle. His education was thus cut short but he was a born student and throughout his life a great reader. His loyal acceptance of this necessity of entering business did not prevent him from devoting his leisure to religious and social service. When later he became Secretary to Carr & Co. in Carlisle, his more onerous duties did not lead to curtailment of his voluntary work. Throughout his life perhaps his greatest desire was to be of spiritual help to young men, and he threw himself into work on their behalf. He was for 15 years Secretary of the Y.M.C.A. in Carlisle, his Friday evening Bible-class being the very centre of its activities. Besides this he was responsible for leading an Adult School class on Sunday mornings and a P.S.A. in the afternoons. He was frequently addressing large evening meetings on Sundays, and was a welcome visitor in many Free Church pulpits. As a temp­erance advocate he was singularly convincing, and this work brought him into contact with clergy and ministers of all denominations, and he was thus able to promote fellowship and co-operation among Christians. With Ernest Hutchinson he ran a boys’ club in one of the worst slums, and in such work his gifts as a story-teller had full scope. Through these varied forms of service he made for himself a unique place in the religious life of Carlisle and the neighbourhood. In 1895 John Barlow married Mabel Cash, the youngest daughter of Frederick Goodall and Martha Cash of London, and grand-daughter of Samuel Bowly of Gloucester. Five years later George Cadbury invited him to become Secretary of the Bournville Village Trust. It was not easy for one who had so many living interests in Carlisle to decide to leave the city, and to take up new and quite unknown duties. When, after much thought and prayer, John Barlow and his wife felt it right to accept George Cadbury's offer, the decision drew forth almost overwhelming expressions of affection and regret from reserved north-country men. 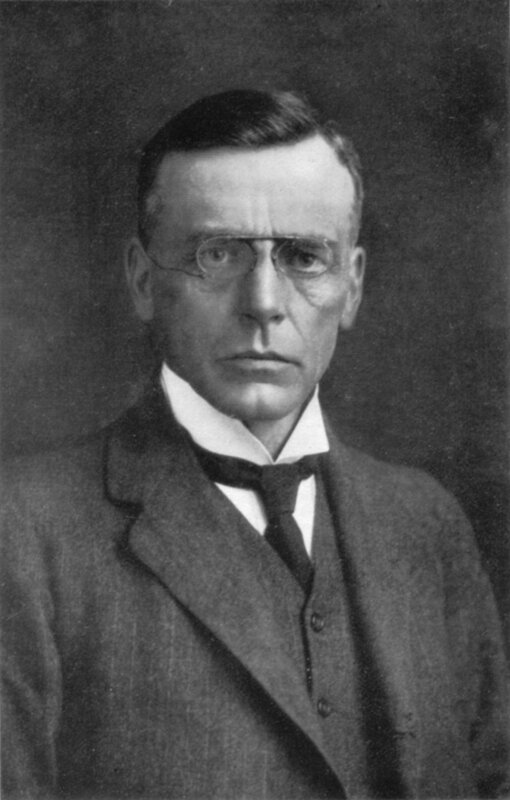 In coming to Birmingham, John Barlow entered upon the appointment which proved to be his life work, as he held the position until his retirement in 1923. John Barlow had much in common with George Cadbury. Both had desired to enter the medical profession, and had had to relinquish the desire and enter the business world. Both had been brought into contact with slum conditions through religious and social work, and so both were inter­ested in the housing problem. Both were evan­gelical Quakers and concerned for the welfare of the Society of Friends. His appointment at Bournville gave John Barlow the opportunity of devoting his admin­istrative powers to the furtherance of a most important contribution to social progress. It brought him into many avenues of public service. Thus he was Secretary to the School managers in Bournville, and he was also a city magistrate. He took a keen interest in all that made for social welfare, particularly in the advocacy of temp­erance. During his last illness he read the reports of the C.O.P.E.C. Commissions, and followed closely the proceedings and developments of the Birmingham Conference. In politics he was a Liberal, and he brought into many election campaigns in his own constituency a vision of moral realities which are often lost sight of in the heat of controversy. He could connect a sense of duty with the ballot box, His most significant piece of political work was the enquiry which he undertook on behalf of Meeting for Sufferings into reprisals in Ireland in 1920. The moderation of his judgement lent weight to the report he presented. His service to the cause of truth was not limit­ed to the scope of his regular duties at Bournville. Indeed it was George Cadbury's special wish that he should feel free to undertake work for the Society of Friends. He belonged to Selly Oak Preparative Meeting, and was a Recorded Minister. He gave himself also unsparingly to the help of the Evening Meetings in every part of Birmingham. Every­where he was welcome; everywhere he endeared himself to Friends, and seemed to belong to each Meeting he visited. As a minister John Barlow believed in Bible study and solid reading. He also valued the time of quiet before Meeting. He came to Meeting not with prepared addresses, but with a prepared mind, and his messages were clear-cut and admirably phrased. Few ministering Friends have excelled him in the clearness, directness and strength of their addresses. From the Old Testament he drew both leading thoughts and illus­trations, using it as it should be used as a storehouse of personal religious experience; but his whole teaching centred on Christ and His salvation. The power of his ministry and the strength of his character lay in the close union of a deep trust in Jesus Christ and Him crucified with a definite experience of spiritual guidance as a present day reality. Because his faith was so clear at the centre, he welcomed new movements of thought and life without fear. He took part in the Summer School movement, and was actively interested in Wood­brooke from its beginnings. For the same reason he was able to exert a unifying influence throughout the Society of Friends both in this country and in the United Slates. His outlook likewise gave him points of sympathy with other Churches, and he was particularly well fitted to fill the office of President of the Birmingham Free Church Council, which he did in 1921. His natural dignity and quiet bearing coupled with his prayerful dependence on the heavenly Guide made John Barlow a truly representative Friend. He could command respect for the Society from the general public. “Some will recall his appearance at the Guildhall Court during the Yearly Meeting of 1918 to give certain evidence in the trial of three Friends charged with an offence under the Defence of the Realm Act, when on the re­tirement of the magistrate to consider his decision, he appealed to Friends present to unite in silent prayer, and how for a time the Court became, in the words of a daily newspaper, ‘A Quakers’ Meeting’ during which some words of prayer were offered.” The qualities which thus impressed the public, endeared him to Friends; indeed, his carriage during the war years won him a unique place in the Society not only within London Yearly Meeting but throughout the world. No other Friend was so clearly in his right place as John Barlow when he presided over sessions of the All Friends Conference in 1920. And no English Friend was so warmly welcomed among all sections of Friends in the United States as John Barlow when he attended the Five Years Meeting in 1922. And if Friends both in England and America now see their way to closer unity and more fruitful service, we owe it, under God, in no small measure to the faithfulness of John Henry Barlow whom we all learnt to honour and to love. ^ Pleasant Sunday Afternoon - if it was supposed to be pleasant why are the men (and note that they are all men) in this picture all looking so dour? ^ As reported in The Evening Post, New York, Monday, June 24, 1918. This page is derived from this page which uses images of the original paper document. Note that the year of birth has been corrected here to 1855 - birth certificate available if required. For more on JHB see this on Wikipedia and this on the Sutton Meeting website. 21st century annotations by Roger W Haworth (email and website) to whom errors should be reported, please.